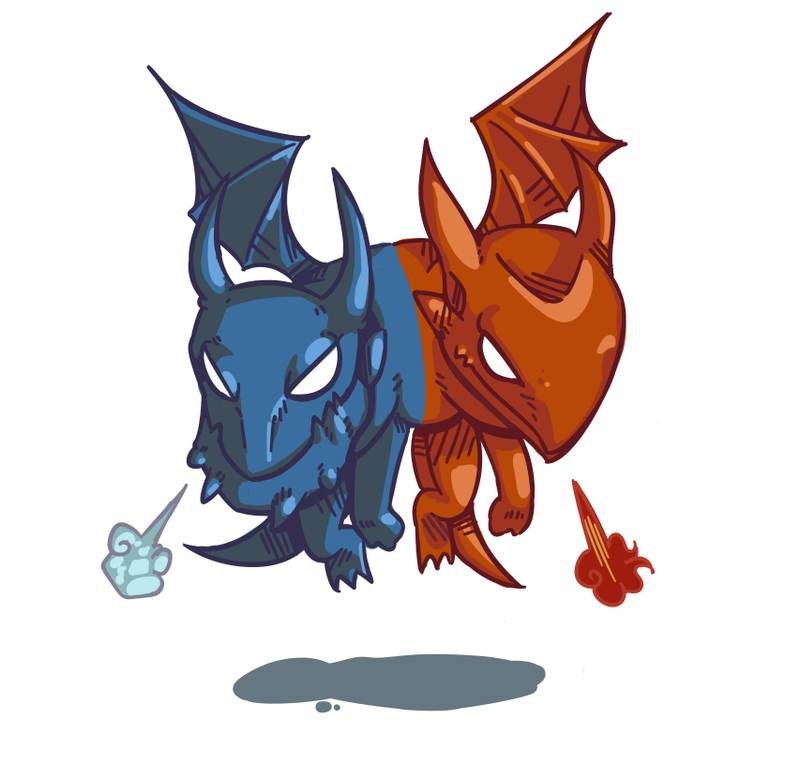 Jakiro is a dragon that have 2 heads, one with an ice element and the other is a fire element. His skill is some fir and ice skill, with the nice nuke damage, he can deal massive damage in the area in front of him. Nuke is his main potential, all his nuke is useful and have a nice damage. This is your main nuke for early-mid game. The damage is considered high, and also gives a nice slowing ability. The AoE is also good, can be used for harassing, killing, and for farming some creeps. This is your main disable. A long range, and relatively wide disable. A very good skill to disable some enemies in area in front of you. All enemies in front of you will be stunned so your team can harass them easily. This is your worst skill. A fire that comes from your mouth for every several seconds. Gives a few damage and slowing the attack of the enemy. The only good about this skill is: this skill affects building, so it will faster your pushing. This is your most damaging skill. With this skill, you can blast the area in front of you with a mighty fire that deals a massive damage per secon in the area. It will burn all enemies in front of you. A very nice skill to fight againt a crowded enemies in an area. It will deal a massive fire damage to them and make your team OWNING, we hope. Why maxed Dual Breath first? This is your main nuke, you will need this for ganking, farming, and killing or early mid game. Why maxed Ice Path before Liquid Fire? 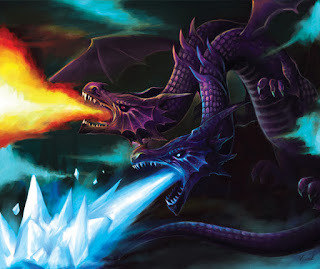 Ice path will benefit more than Liquid Fire, ice path makes enemy to froze in a wide aoe, while Liquid fire is just slowing the enemy. Jakiro is a heavy nuker hero. Since the early game, you should use your skills to harass the enemy. Make your enemy recessive by always harasssing them. With the relatively high damage from your nuke, it is quiet easy to harass your enemy in the lane. Use Dual Breath constantly and make your enemy HP become less. If there is a carry in your lane, it is recommended to let the carry to farm while you can harass the enemy or denying the creep. If you are the support role for the team, it is recommended to buy a courier and wards to benefit the whole team. With wards, your team can avoid being ganked by the enemy. Mid game is the time while ganking party is happening. Be careful of enemy's gank party. Your team may need wards to give a vision so your team can avoid enemy's surprise gank. You, as a nuker / disabler hero, should roam and help your friends on another lane. Tell your friend that you are ready to gank and ask him to help you, then you should come to the lane and use Ice Path to disable the enemy, your friends and you can harass them while they are disabled, and then you can use the Macropyre amd also use your Dual Breath to harass and get many kills. On the late game, your part for the team is the same. to nuke all the enemy in area in front of you. because all your skills are area skills, it willl be so nice to deal damage to all the enemy in a time. Be careful to use the Ice Path, this is your main disable and make sure it hits at least 2-3 enemies, so you can land your ultimate and your other skill perfectly and deal a massive amount of damage. Although the effectiveness of nukes is reduced on the late game because enemys Hp and is already high, but all your skill damage combined is still good. Moreover if you buy an Aghanim Scepter, it will make your ultimate more painful for the enemy. Why Drums? It will gives you survivability with + STR and gives your team +Attack speed and +Movement Speed that will benefit your whole team. Why Schyte of Vyse? Very good item to initiate a teamfight. You are considered a support, and this item is one of the best supportive items you can get. Or you can use this to defend against somebody by making him become chicken. They have some nice AoE skills that requires enemies to be stick in an area. You have an all AoE skills in your pocket, combined with them, your team will deal a massive daname to the area. You rely on your ability to cast all your skills. But, the Silencers, they will cancel your skill and make you can't use all your skills and become useless, BEWARE of them!